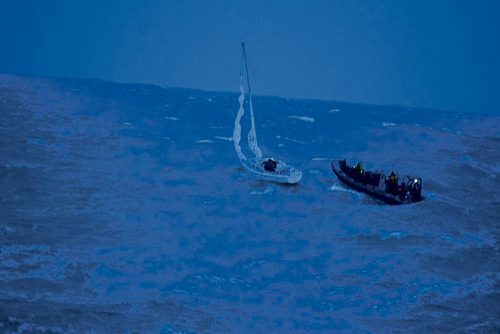 A lone Irish yachtsman had to be airlifted to safety as he tried to sail home from the UK in his new boat. After becoming stranded off Roche’s Point, Co. Cork he raised the alarm by setting off his personal locator beacon (PLB) which was picked up by both the Irish Coast Guard and the Irish Naval Service. LÉ James Joyce was conducting a routine patrol when it detected the distress call and the crew succeeded in retrieving him from his vessel. 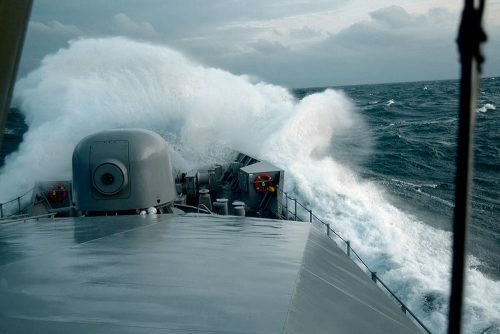 A spokesperson from the Irish Defence Forces said the boat was “taking on water” during “difficult sea conditions”. It launched a rigid-hulled inflatable boat to assist with the mission in order to deal with the uncompromising weather. They facilitated his transfer to the Waterford-based Coast Guard helicopter R117, which had been sent out following the mayday signal. The man was then transferred to Cork University Hospital where he was treated for mild hypothermia. Coast Guard operations manager Gerard O’Flynn complimented the Navy RIB crew for their excellent seamanship and highlighted the importance of technology such as PLBs in saving lives at sea.